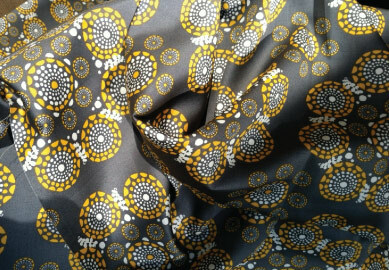 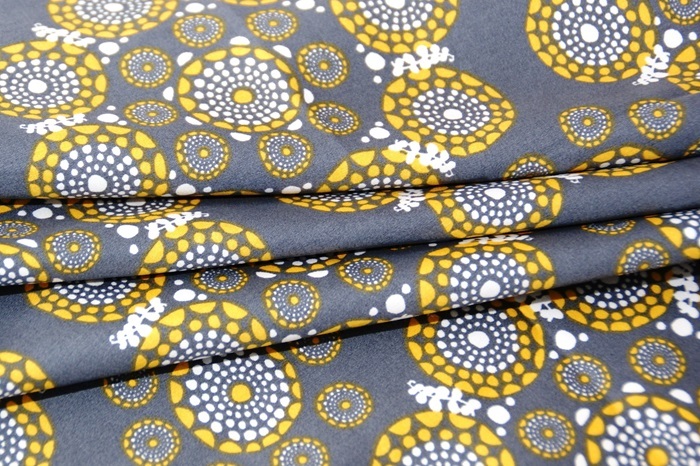 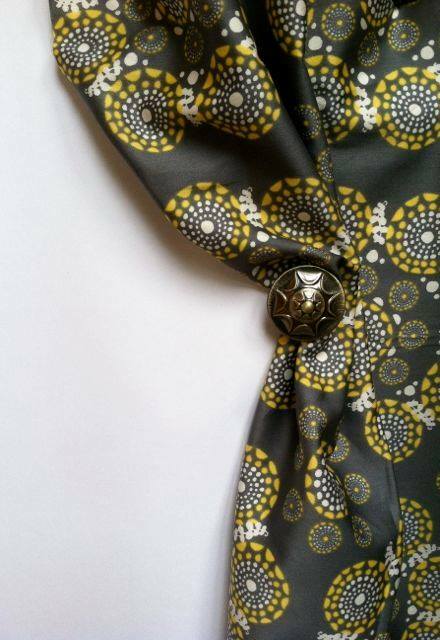 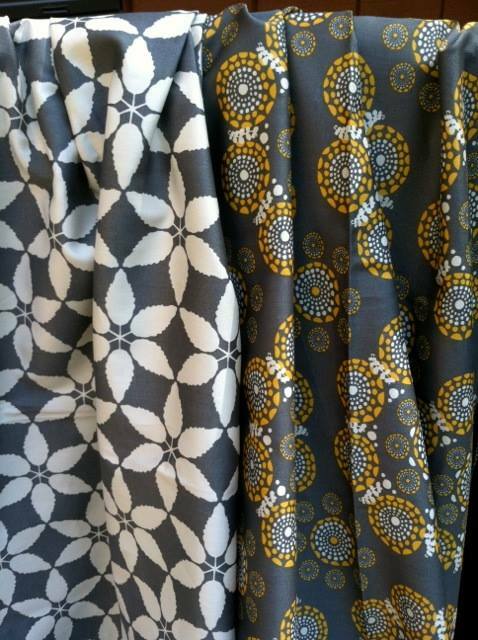 Beautiful cotton sateen (300 TC) by Harmony Art in grey, yellow and ivory. 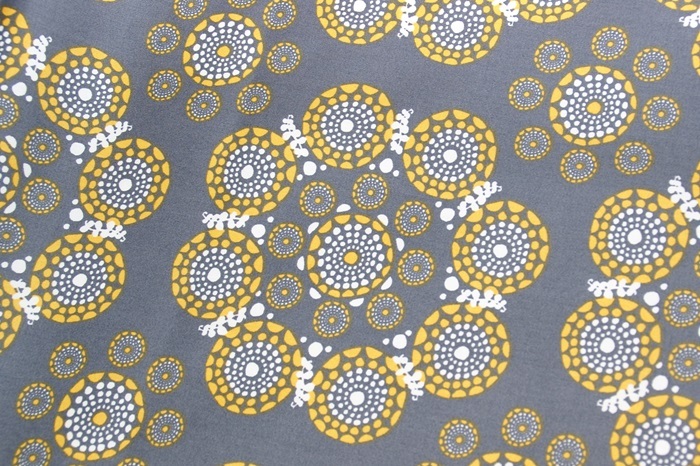 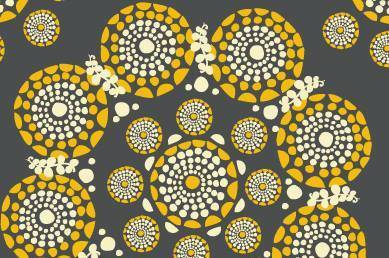 The design is based on a complex, seeming never-ending, heart of flowers. 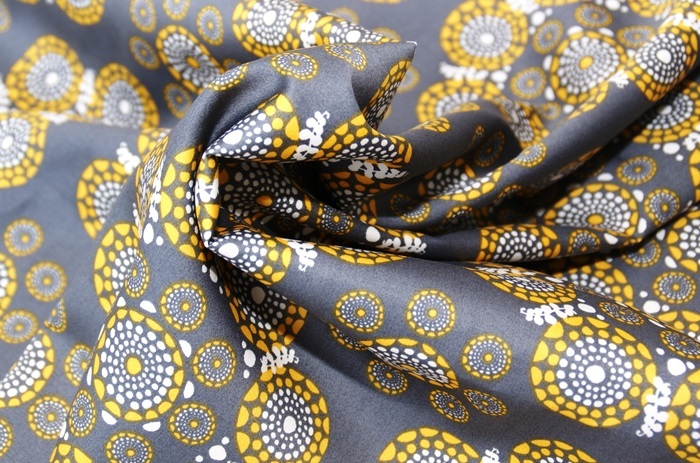 Made of 100% organic cotton, GOTS-certified, in a soft and very supple quality. 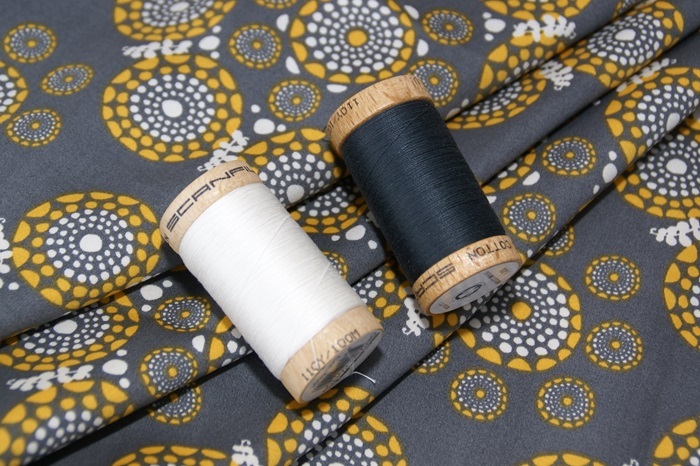 Great in combination with the Natural cotton sateen, Franklin's Tower cotton sateen and several other natural fabrics from our collection.